I agree with Sonny on this. Its because I am pretty sure Merc did test those tyres at Barcelona. Remember there was already talks after that race they will change the rear tyres. In Canada all the teams tested these tyres they use now. From Hungary onwards they will go back to last years tyres, but only with the structure, not the rubber. Ossi Oikarinen, former engineer says in MTV3 , the tyres probably blowed up because of Pirellis nature to do soft tyres from the middle part of the tyre and the line between the surface and the middle part created the "standing" hotspot with steel belt in Silverstone speeds and the kerbs at those high speed corners.He doesnt expect those problems in Germany. I translated Japanese F1 magazine regarding Kimi's article. Hopefully, some of the information are new to some people. Most of them are well known things, so I cut most of it and it's a brief translation. "He never gives up whatever happens." Steven Robertson smiled. There is unforgettable memory which is European Kart race in 1998. There were strong competitors such as Alonso, etc. Kimi hit with other car, and his kart overturned. All thought Kimi would retire, but Kimi got out of an overturned automobile and turned it back and continued the race. Later, Kimi started Formula Renault in 1999 with Haywood, but Roberson decided not to Kimi ride the team due to lack of strength of the team after three races. Kimi would go back to Finland from UK, but Kimi begged Robertson to race once again. Kimi challenged again the Formula Renault from Manor in Silverstone in 2000. Kimi tells. "I started motor sports since age 4. I saw my older brother Rami was playing with his mini bike in the back big farm of my home, so I played with him. I was always with Rami. After school, I didn't play with my friends, but was straight back home and ran farm with mini bike." Through the fight with his brother Rami, Kimi learned never give up sprit. Kimi says, "I never give up no matter what happens. If I fight, I always tries my best. I learned this by competing with Rami by mini bike." Never give up. Williams found Kimi by his best drive all the time. However, because Williams was a big team and thought Kimi as their test driver, Robertson negotiated with Sauber. in Monaco this year, Kimi had to change tyres at lap 70 due to crash with Perez. at that time, Kimi's thought "never give up no matter what happens, but always try my best." "the driver of this car is me, but there are so many people who developed, brought the car here and set up to race this car. I can't waste their effort." And Kimi finished in 10th position and brought point home. Mark Arnall said, "Kimi showed his brilliant hunt from the back where people think it is impossible to catch up. One of his best race is Japan GP in 2005. not only Kimi, but for me it was one of the best race. However, this year's Monaco is also one of the best like Suzuka. 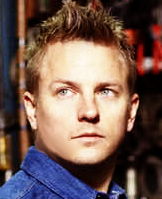 I couldn't believe how Kimi was catching up while I was changing the pit board numbers." on Sky in UK they were analysing last few corners of the race with Antony Davidson going through on board footage from Kimi's car. And Antony pointed on small details how Kimi was fighting till last meters and even after last corner with finishing line coming he was still pushed DRS button even with little hope to overtake Vettel by then. Antony said that Kimi never gives up. At the weekend, a senior Ferrari representative was asked â€“ off the record â€“ whether they were close to recruiting James Allison, and the response TJ13 received was a smiling â€“ â€œwatch this spaceâ€�. It is clear there has been an attempt from McLaren to recruit James, but reading the tea leaves Iâ€™d have to say at the moment, Iâ€™d give Ferrari the nod. Update: Another TJ13 source is suggesting today, Ferrari and Allison are close to agreement though a few contractual matters are not yet agreed. Ferrari would be crazy to let Allison go by forcing some of the alleged â€˜ridersâ€™ into his contract they have believed to have insisted upon in the past. The FIA confirmed to the F1 teams today that the Silverstone Young Driver test will still take place over three days â€“ ending any hopes Mercedes might have had that it would be allowed to participate in an extra fourth day. Crucially the FIA has also decided to ensure that race drivers can only be involved in Pirelli testing, having contemplated allowing teams to do what they want in terms of car development. FIA observers will ensure that any changes made to the cars when a race driver is running relate only to the tyre testing, so teams will not be able to swap wings and other parts around and so on. However a race driver could in theory test new parts if they are on the car in the morning, and remain in place all day. 1) The young driver training test will remain a three day test from 17-19 July. 2) One specification of tyre will be available for the test. The 2012 construction will be used but with the hard, medium and soft 2013 compounds. 3) Pirelli will be authorised to provide each team with five extra sets of tyres for this test, bringing the annual total to 105 sets. All of these sets may be used. 4) Any driver who has competed in more than two F1 World Championship races may take part in this test, provided that the purpose of him doing so is to test tyres for the appointed tyre supplier. In order to meet this requirement, all teams shall, in particular, ensure that any changes made to a car at these times are exclusively related to the tyre tests set out in the run plan provided by Pirelli. An FIA observer will be appointed to ensure the regulations are being followed. Pirelli has decided to take softer tyres to the forthcoming Hungarian Grand Prix than it initially planned. Lotus criticised the initial choice of the 'hard' and 'medium' tyres as "very conservative". BBC Sport has learned this has been revised to 'soft' and 'medium' for the race on 28 July. Pirelli said its decision to change the construction of the tyres following the multiple failures at the British Grand Prix meant softer rubber could be used. Pirelli has reverted to the construction used in 2012 following the blow-ups. The company discovered while investigating the British Grand Prix problems that its 2013 construction had a weakness if used in certain ways. Pirelli was allowed to revert to the former design on safety grounds by governing body the FIA. A Pirelli spokeswoman said: "The change to the 2012 construction means that Hungary doesn't require such a hard compound now." The new choices now mirror those used in Hungary last year, but because Pirelli is using softer rubber compounds across its tyre range this season, the tyres used at the Hungaroring in 2013 will effectively be one grade softer than last year. The durability of the rubber compounds used this year had become a controversial issue long before the blow-outs at Silverstone, which were caused by a series of different issues that had nothing to do with the durability of the rubber used on the tyre. Red Bull and Mercedes have lobbied for harder compounds to be used. Red Bull complained earlier this season that the tyres were too soft and were preventing drivers from pushing to the limit in races. Mercedes, who are struggling with excessive tyre usage, have also lobbied for more conservative choices. Lotus, Ferrari and Force India, whose cars are among the easiest on tyres, feel there was never anything wrong with the compound choices Pirelli was making. TJ13 is hearing the deal is now done and James Allison will join Ferrari. He will initially work initially alongside the teams chief design engineer Nicholas Tombazis. This position appears to exist in rather a â€œno manâ€™s landâ€�. Ferrariâ€™s hierarchy is beginning to resemble that of Mercedes as they now have 3 technical director roles. When Pat Fry replaced the dismissed Aldo Costa, the role Fry took up was downgraded to â€˜director of chassisâ€™ from Costaâ€™s â€˜technical directorâ€™ position. Pat Fry also operates as Ferrariâ€™s head strategist and is assisted in this by specialist Neil Martin â€“ officially â€˜head of operations researchâ€™. The other two â€˜directorsâ€™ are Corrado Lanzone â€“ â€˜production directorâ€™ and Luca Marmorini â€“ â€˜electronics directorâ€™, though Luca often speaks on engine matters as well. The 3 engineering â€˜directorsâ€™ operate on an equal footing within the team and all report directly to team boss Domenicali who assumed responsibility for circuit strategy and other functions previously assigned to the â€˜technical directorâ€™. This will most likely be an interim step for James Allison and we may see the â€˜technical directorâ€™ role re-instated in time, with James the incumbent. Dominicali will then be freed up for the inevitable media demands on a race weekend and it will add specialist attention to track side operations. Anyone, good at drawing organisational charts??? This is good news for Lotus. In Finland there is news it might be Rotenbergs family which could buy Sauber. They just bought Hockey Arena in Helsinki. Roman Rotenberg actually has finnish passport.